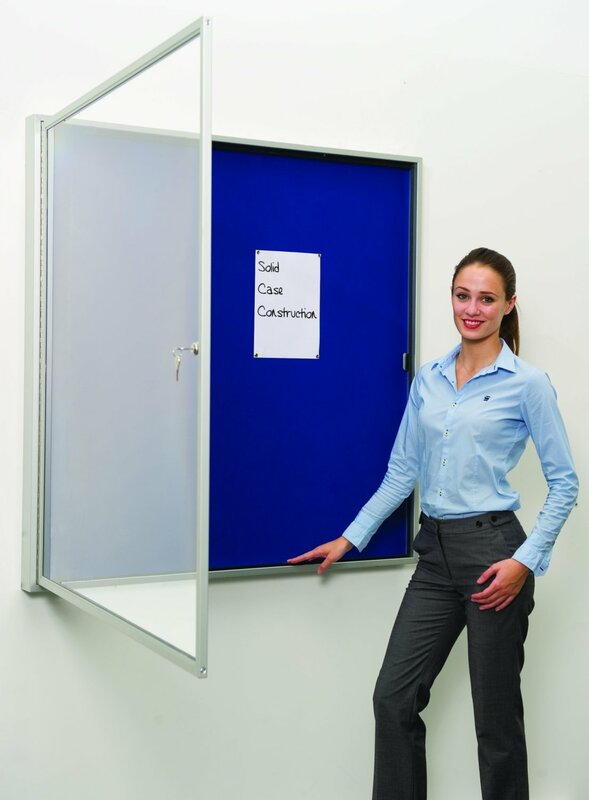 Internal lockable noticeboards with fully lockable hinged doors within a solid case construction complete with full length piano hinged, shatterproof polycarbonate door. 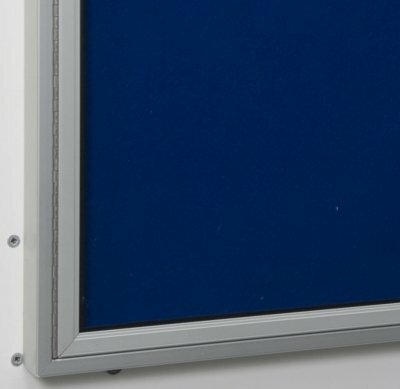 The fire rated felt cover is suitable for pins and available in four attractive colours. All models can be fixed either portrait style or landscape and the door is fixed to the long side. 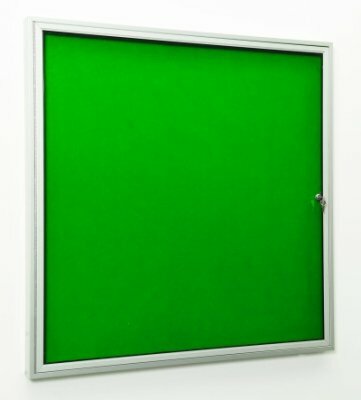 Fire rated felt surface available in four colours. Locking, hinged shatterproof polycarbonate door in a solid case construction. Wall fixings included as standard.